Manual Driving Lessons, Crash Course Assessor, Intensive Courses Instructor. Hi my name is Chris and I am a fully qualified driving instructor. 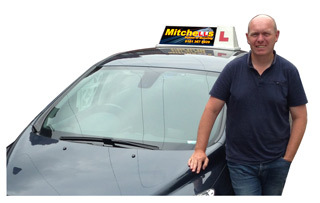 I give driving lessons in Tameside and Stockport for Mitchells driving school. I was hoping to have a career change and due to circumstances in my last job this gave me the opportunity to train up and qualify as a Driving Instructor. I believe lessons should be relaxed and enjoyable for both pupils and myself, being patient and understanding allow this to occur. Students are taught on a one to one basis, this allowing the pupil to have my full attention during lessons. Pupils are taught to be safe and considerate to other road users and the environment (eco-driving).